A-lan Holt is the interim executive director at the Institute for Diversity in the Arts at Stanford University. There she trains undergraduates in the areas of diversity and culture; arts leadership and social justice. She is a mother and practicing artist whose work includes theater, poetry, experience and film. She is a 2018 Sundance Fellow, a 2018 SF Film Screenwriting Fellow and a frequent contributor on-air at KQED Arts. 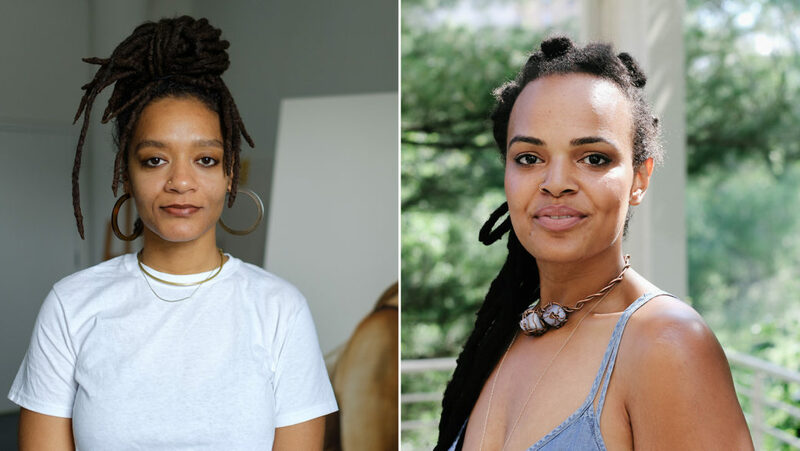 Now based in Brooklyn, Tatyana Fazlalizadeh has achieved international recognition for her artwork, including Stop Telling Women to Smile, a street art project addressing street harassment. She collaborated with Oscar winner Spike Lee on his TV series She’s Gotta Have It and is currently the inaugural Public Artist in Residence for the New York City Commission on Human Rights. Holt photo by Zakkiyyah Najeebah. Fazlalizadeh photo by Chevy Anderson. Open Now until 10 p.m. • April 20, 2019 @ 7:38 p.m.